Comic News Insider Episode 650 – NYCC: TMNT w/ Rob Paulsen/Greg Cipes/Hoon Lee/Seth Green/EP Brandon Auman/EP Ciro Nieli! Jimmy joined the roundtables for Teenage Mutant Ninja Turtles at New York Comic Con! You’ll hear from Rob Paulsen, Greg Cipes, Hoon Lee, Seth Green and executive producers Brandon Auman and Ciro Nieli. The CNI mic is pointed directly at the talent so you’ll hear them the best (and that’s more important!) so apologies if the media questions are a bit muddled. They chat about the recent cliffhanger and what to expect next season. Leave your iTunes comments! 5 stars and nothing but love! Also, get a hold of us! SPOILERS!!!! SPOILERS!!!! SPOILERS!!!! SPOILERS!!!! SPOILERS!!!! 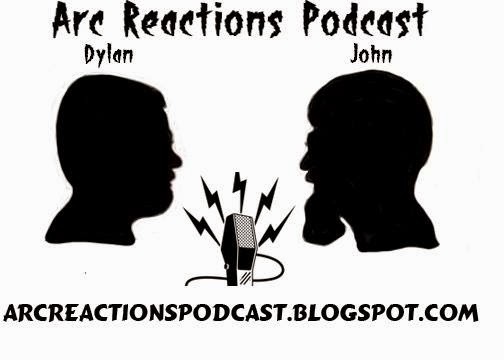 Dylan and John are back with another summer movie. This time its Teenage Mutant Ninja Turtles from Nickelodeon films and Michale Bay. Did we like it? Did it stay true to the Turtles origin? Tune in and find out. Our next release will be August 17th when we will have an interview with Ross May who has written for Ninja Turtles comics. In preparation for the new Michael Bay movie, we decided to cover a Teenage Mutant Ninja Turtle story. We settled on City at War which takes place after the Shredder has been killed by Leonardo. Will the Turtles be able to survive the aftermath? Come along with us as we watch the characters grow as individuals and a team. Today we also released our movie review for Guardians of the Galaxy. Join us next week for the TMNT movie. We would like to thank Packie Wambaugh for recording our intro and closing music.